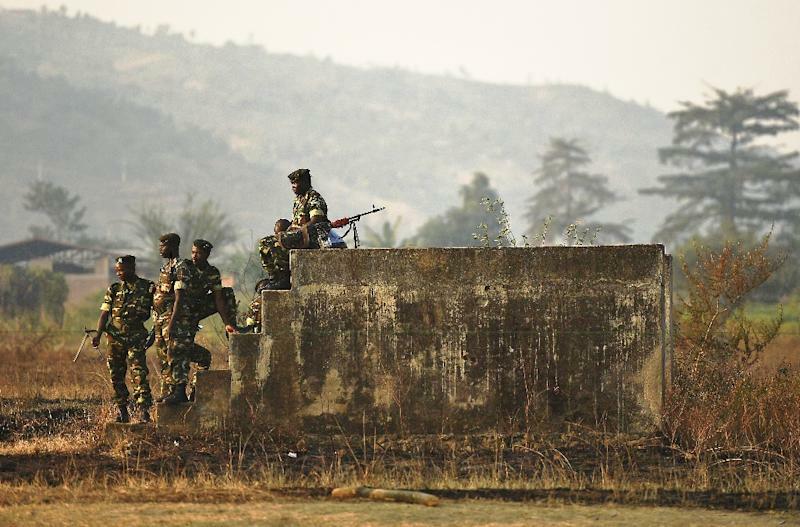 Nairobi (AFP) - Gunmen launched coordinated pre-dawn assaults on three army bases in Burundi, sparking a confrontation that left at least a dozen attackers dead in the worst unrest since a failed coup in May. Alarmed by the violence, the United Nations Security Council met Friday following a request from France, with UN chief Ban Ki-moon saying the attacks risked triggering "a further destabilisation of the situation", according to his spokesman. US Ambassador to the UN Samantha Power said following the closed-door talks that the Council was ready "to consider additional measures" against powerbrokers in the country who continue to block a political solution to the crisis, a veiled threat at sanctions. The Council said that sending UN peacekeepers to the violence-gripped nation remained an option, and stressed the need for urgent political dialogue. 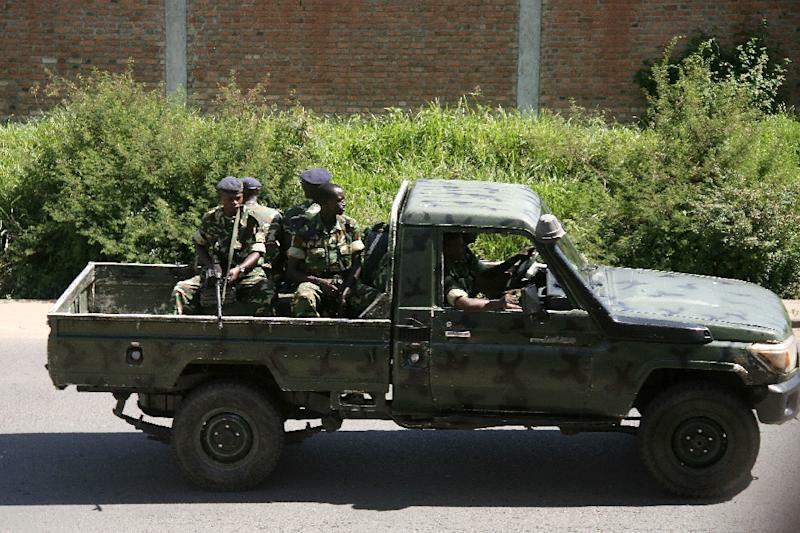 Burundi's army said 12 gunmen were killed and another 21 captured following a series of coordinated early-morning assaults on the Ngagara base and a military training college, both in the capital Bujumbura, as well as on a base in Mujejuru, 40 kilometres (25 miles) away. Army spokesman Colonel Gaspard Baratuza said five soldiers had also been wounded in the attacks, in which the gunmen had sought to "stock up on weapons and ammunition". But a senior army source said the fighting had caused "losses on both sides", without giving further details. The three attacks began simultaneously at 4:00 am (0200 GMT). Heavy firing and the sounds of artillery could be heard for many hours afterwards, said witnesses at several different locations. Across the capital, streets were deserted as residents stayed home and the army and security forces imposed a lockdown, with witnesses reporting many arrests. It was the worst outbreak of violence since a failed coup in May, sparked by President Pierre Nkurunziza's bid for a third term in office, which he later won in disputed elections in July. The UN chief urged all sides, including the government, "to refrain from any further escalation of violence or retaliation", his spokesman said, warning that anyone "responsible for ordering or committing human rights violations will be held individually accountable". Thomas Perriello, Washington's special envoy for the Great Lakes Region, said he was "alarmed" by the violence and called for an "immediate ceasefire and calm". And concern was also expressed by envoys from France, Belgium and the Netherlands, with the UN, aid agencies and several foreign embassies urging their employees to stay at home and lock their doors. "This is a very worrying escalation because it is genuine military, or paramilitary, operations taking place in the capital," said one European diplomat. Months of street protests have devolved into regular armed attacks with gunfire disrupting the nights and dead bodies appearing on city streets almost every day. Since May, at least 240 people have been killed and more than 200,000 have fled for neighbouring countries, UN figures show. Frightened residents said Friday's fighting was the worst in months. 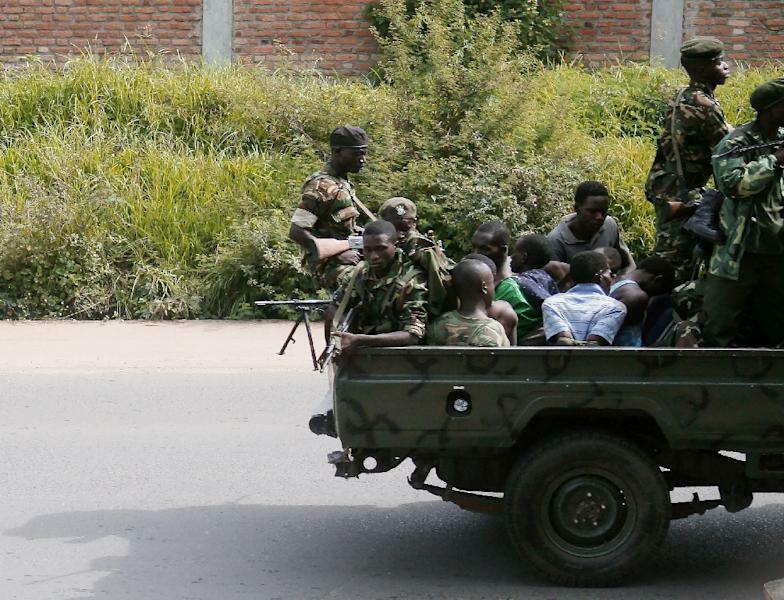 "I am holed up in the corridor of my house with my wife and children," said Eric, a resident of the Musaga neighbourhood of Bujumbura where the attacked military college is located. "Pray for us because we will die!" As sporadic gunfire echoed around the city, a government spokesman claimed the attacks had failed. "A failed coup on May 13, many defeated attacks including this one... all their plans against #Burundi fail," wrote presidential media advisor Willy Nyamitwe. Regional carriers Ethiopian Airlines, Kenya Airways and RwandAir all cancelled flights to Bujumbura on Friday. Burundi is still scarred by memories of its 1993-2006 civil war pitting rebels from the Hutu majority against an army dominated by minority Tutsis. Some 300,000 people were killed in the conflict, which began a year before a genocide of mainly Tutsi people in neighbouring Rwanda. Although the unrest and armed battles are political, the UN and others observers have raised fears that the country might yet split along ethnic lines as in the past.